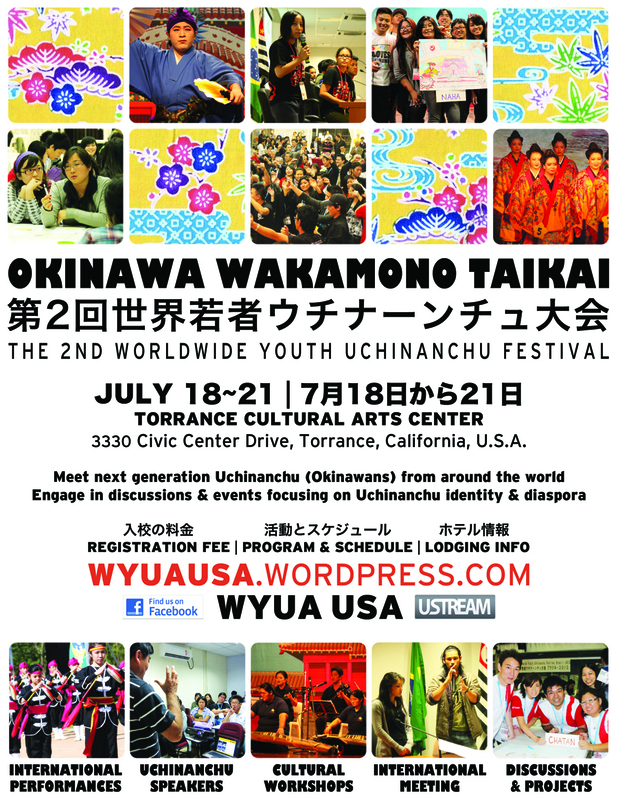 This month I’ve been busy preparing for the upcoming 2013 Okinawa Wakamono Taikai Conference to take place in Torrance, CA USA from July 18-22. 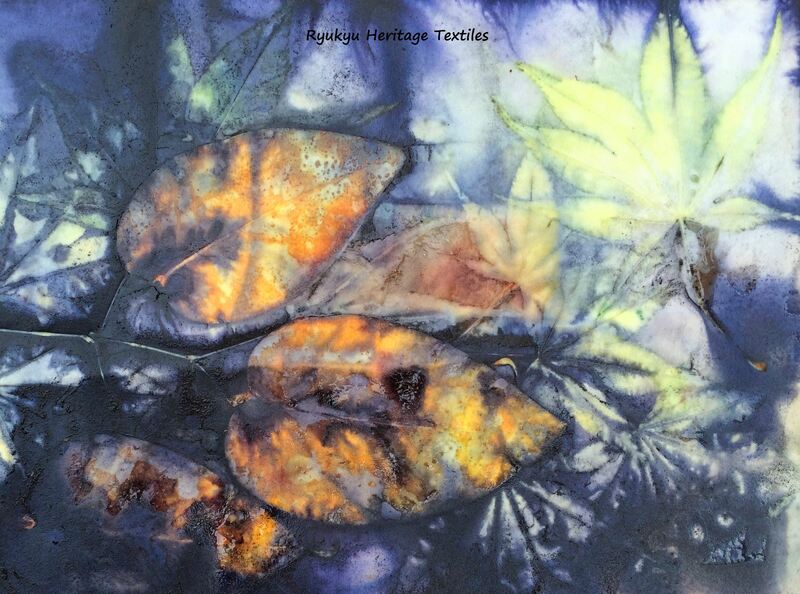 I will be teaching a Ryukyu Textiles workshop as part of the Taikai Cultural Workshops series. 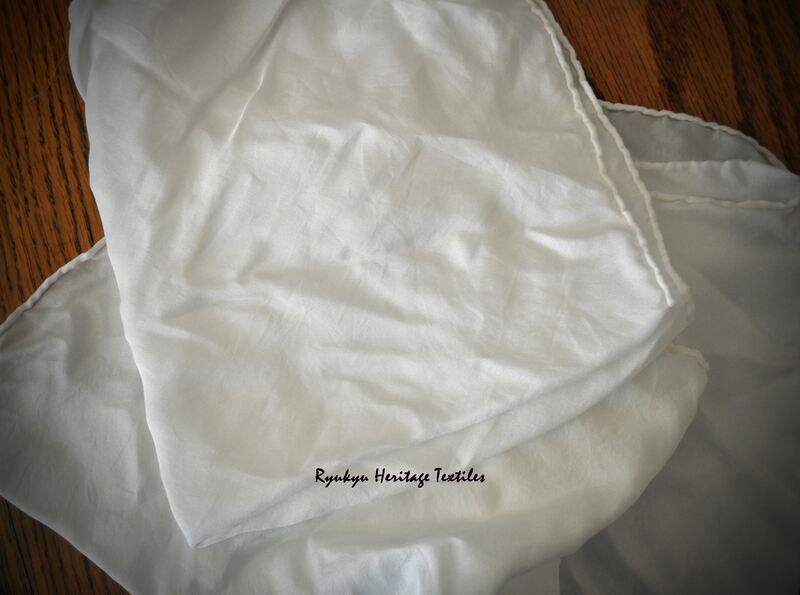 One technique that I will teach is the process of E-Gata, a type of Bingata dyework surface design. 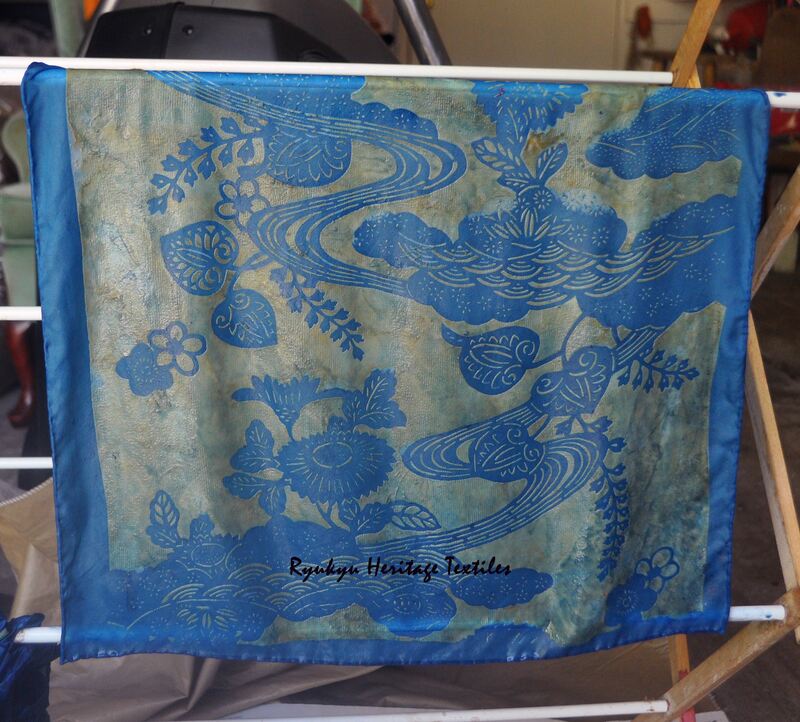 Bingata dyework originated around the 14th century in Okinawa. 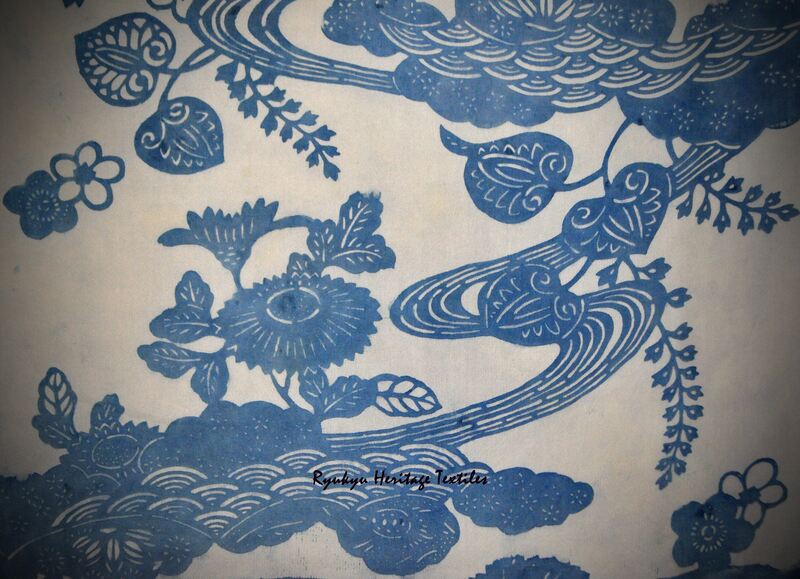 Ryukyu E-Gata designs are often dyed with Ryukyu Ai, a fermented indigo native to Okinawa. 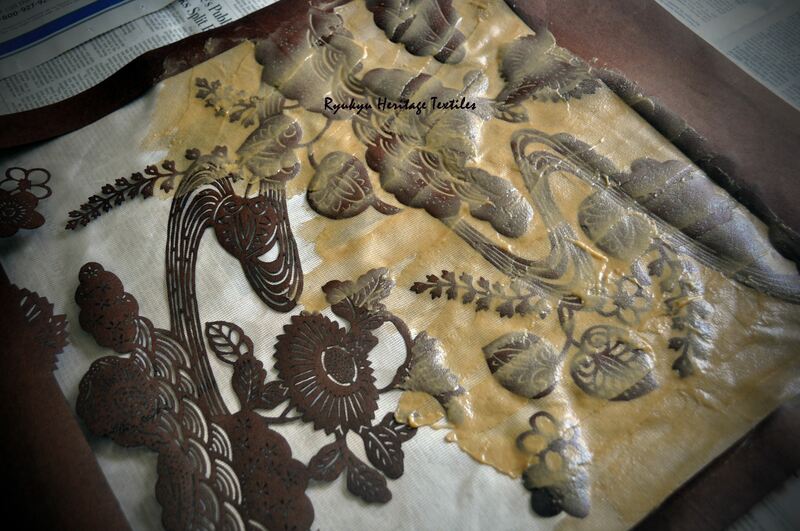 After spreading the nori paste so that it completely covered the stencil design, I removed the stencil from the silk fabrics and wa-la! 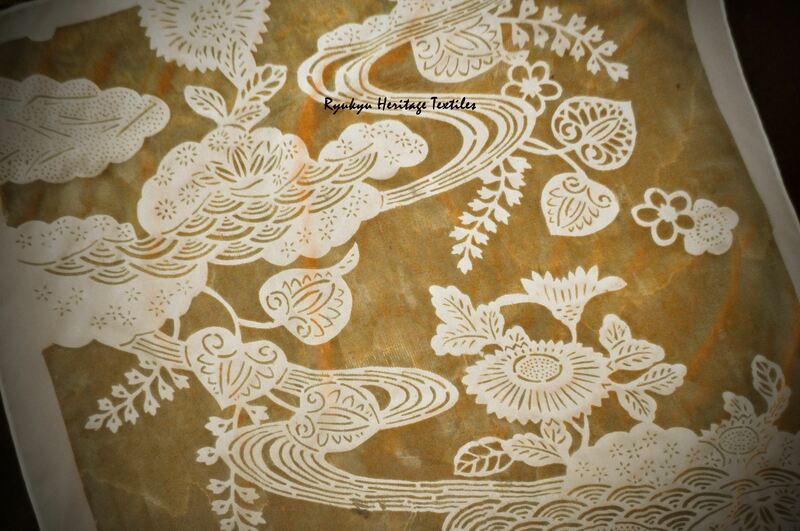 A beautiful Ryukyu design inspired by nature appeared! I allowed the nori paste to dry for several days. Thereafter, I began to prepare samples for the Taikai workshop participants so that would have a visual learning tool…Bingata E-Gata is a fascinating process, particularly when it involves Ai Zomme. Oh! I do enjoy Ai Zomme! 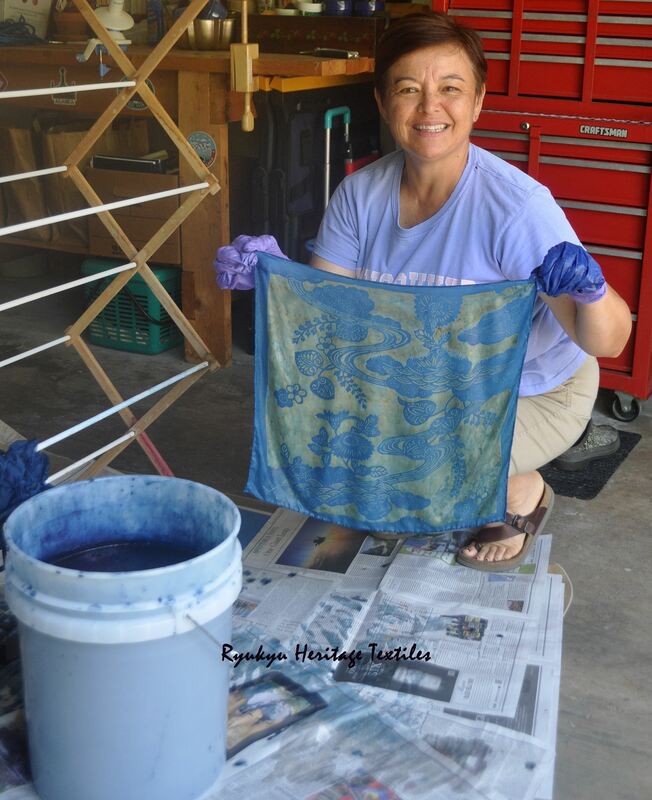 After dipping the silk fabrics in the Ryukyu Ai several times, the E-Gata teaching samples were ready to rinse. I do think that the Taikai will enjoy making their own Bingata E-Gata! And, I will enjoy teaching the workshop. I’m so pleased to be working with the Taikai from the U. S., Okinawa, South America and Europe to share and preserve our Uchinanchu cultural heritage Ichi nu ichimadin (from generation to generation) ! Absolutely exquisite work. I can’t wait to give it a try. 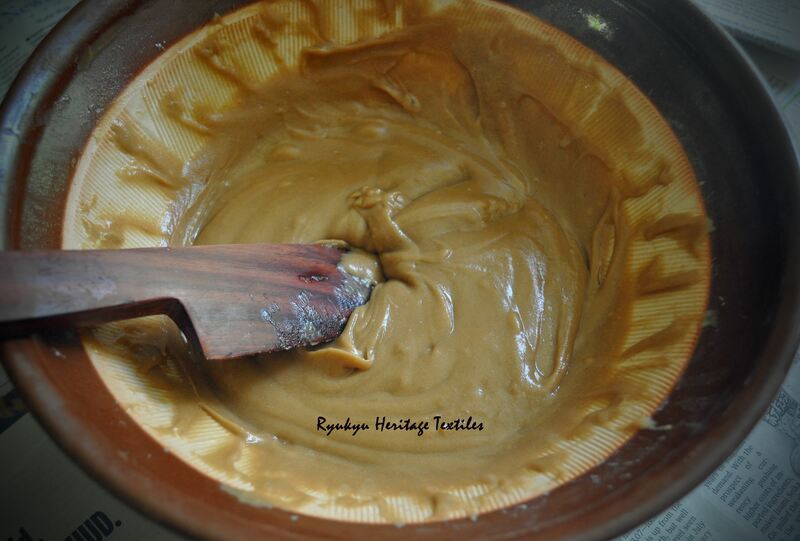 Will you reveal your paste recipe?